Well, it’s been two and a half weeks since we signed the papers on the house. Store, I suppose is a better term to use. Most of the time we’ve spent there has been involved in planning what actually needs to be done and there’s definitely a lot. Aside from taking relatives to see the store I’ve only been able to get out there once since we bought it, to do anything. On the thirtieth of October I went out there with my mom, we were lucky enough to both have the day off and knew we needed to be there. You know, because we hadn’t drooled over the staircase and the rolling ladders enough. We weren’t entirely sure what we would be able to get done seeing as good deal of what did was construction to move temporary walls to more useful locations and update the kitchens and bathrooms. Yes, I said kitchens. There are currently two. Two kitchens, three and a half bath, three bedrooms, office, living room, family room, mezzanine, and the front area which is the store. There’s also a large unfinished basement and a huge unfinished attic. This place is seriously enormous, but now I’ve forgotten what I was trying to say. Ah! October thirtieth, what we did. That’s right! Well, after walking around, being cold, and drooling some more we decided to start making lists. Lists of what you say? Well, things to do in each room of course! Wow, yeah, that was the coffee talking right there. Ignore the perky. We made lists for each room upstairs all of which contained the phrase “Refinish wood” on top of everything else. 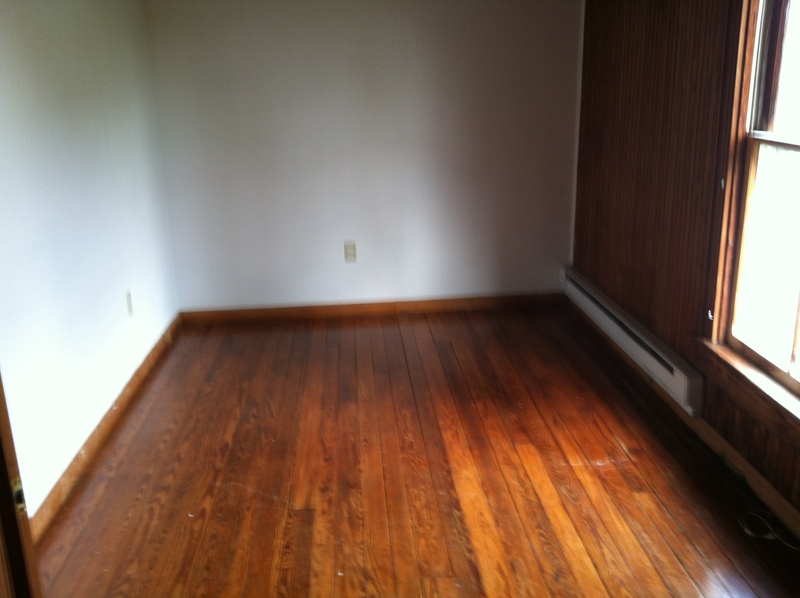 The first room alone, which is the smallest bedroom, contained the following. That was for the smallest barest bedroom in the house. Let me remind you that re-glazing the windows and insulating the windows is on every list in the house. That day we made thirteen lists. We didn’t finish. If we didn’t have some idea of how much work this house would take before, we did after doing that. 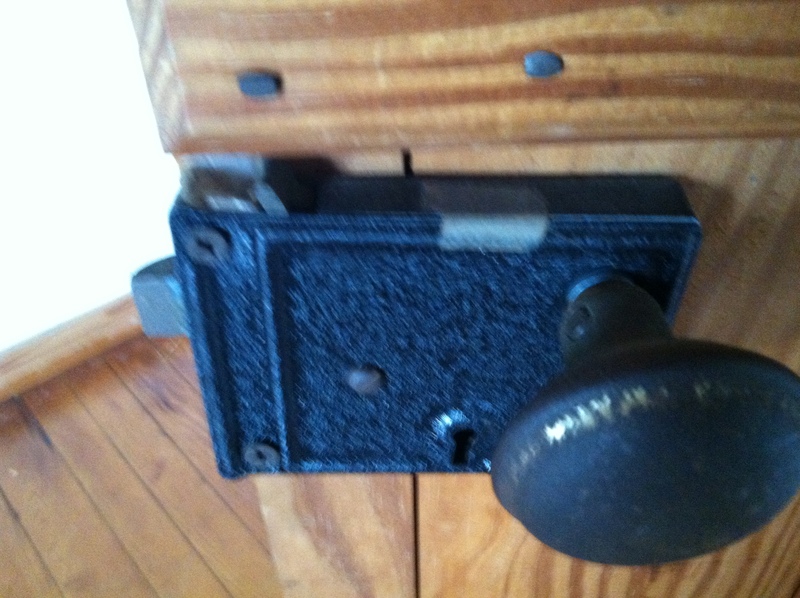 So between writing lists, measuring for trim (which I was quite tired of after thirteen rooms worth), and trying to figure out why someone used a band-aid to tape down the antique door lock instead of finding a piece of tape, we actually quite enjoyed ourselves. Seriously though, they used a band-aid to keep the door from locking and sticking. I believe my rant at the time that I realized this contained something along the lines of “You didn’t have anything else? Packing tape? Scotch tape? You couldn’t even find a frickin piece of electrical tape to use?” but at least it wasn’t a used band-aid or else I would’ve had to bathe it in bleach. Also, I hate bleach. It smells. But that wasn’t important. Other highlights of our day included taking a walk back into the wooded area of our property and finding loads of wild strawberry plants, learning about the area’s infestation of lady bugs that will invade your home, freaking out when we realized we had a place were we can put a chandelier, and missing our turn on the way to the house and ending up turning around in the driveway of the local jail. Yes, we went to jail…kind of. Sort of. Not really, but it was funny at the time. So on that note, I’ll leave you with a heroic tale of danger, excitement, and an improvised rescue procedure for a caterpillar. It was a day like any other, making lists, discussing plans. The cobwebs in the corners sat mocking us while they dirtied the edges of the rooms. We would be able to clean them up later, but not that day. Then, as mom finished writing the list I looked down. 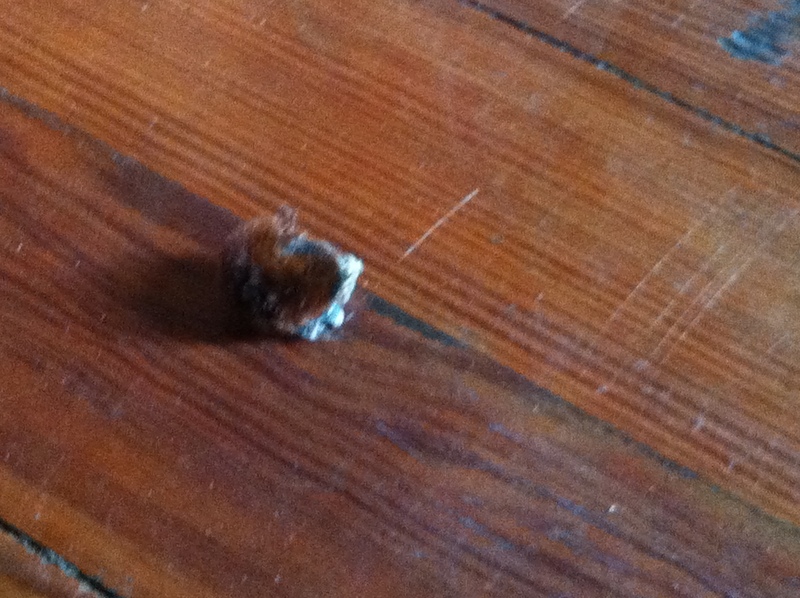 It was a caterpillar, about two thirds the length of my index finger. Brown, fuzzy, cute. But wait, no! He too had found the cobwebs and been lucky enough to escape a gruesome arachnid fate! While his tale must have been one of great valor and bravery (I’m pretty sure he saved the caterpillar princess from the evil Queen Arachnia and became trapped inside while she escaped) he was not free yet. Cobwebs stuck to his little face, he could hardly move. Quickly, we sprang to action. 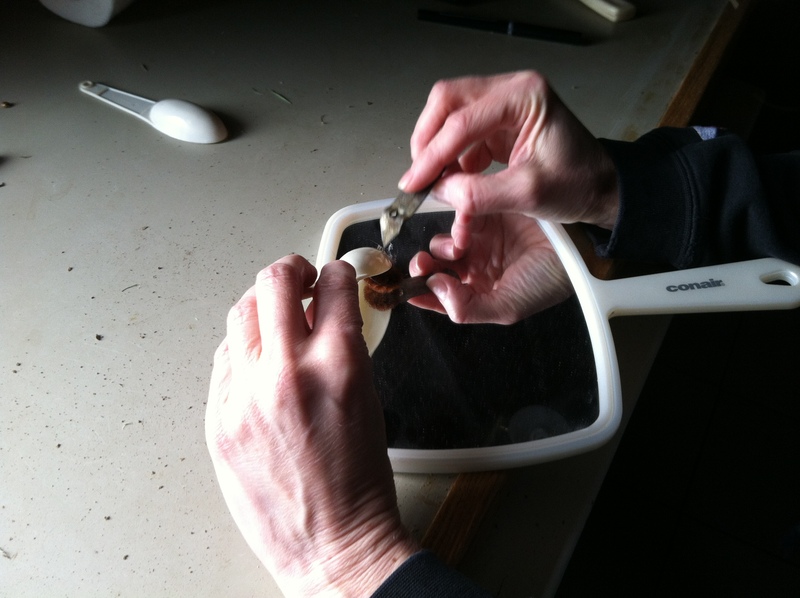 I grabbed a mirror while mom found a measuring spoon and a small can opener. With surgeon like precision she gently removed the cobwebs from our friend Zachary’s face (for we realized that was his name) and he began to move once again. With him still on the mirror I took him outside and place him next to a tree which he swiftly climbed onto and away he went, to find his princess! …or we just found a caterpillar covered in cobwebs and mom was somehow able to get them off without killing him and we put him back outside, all while laughing hysterically. Either way.